Blueprint Gaming have been one of the leading companies in the software development sector within the casino industry for a number of years now. They started life offering up land-based casinos the opportunity to give their customers some of the most exciting games on the market. In fact, they have over 100,000 land-based terminals currently in operation, which gives you some idea of the scale of the company. In 2008 the company was bought out by gaming giants Gauselmann Group, and whilst they still thrive in markets within the UK, they are now based out of Germany. As a part of the merger, Blueprint shifted a large chunk of their efforts into online games, namely slots, with the goal of creating exciting new features and a plethora of games. The company primarily focuses on slots and this single focus enables them to offer a good range within the category. Whilst in past years they have dabbled in table games, their current range seems to have stayed away from these completely, which is an interesting road to head down given how competitive this sector of the industry currently is. 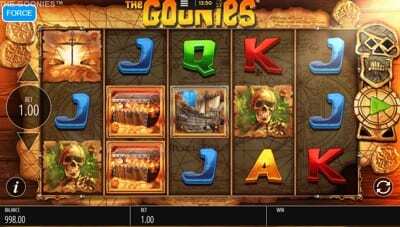 The slots on offer are a fairly mixed bag in terms of game type, and it’s clear that they like to cover a wide range of themes and provide players with plenty of diversity to keep their interest. In terms of the design, the slots really do vary. We tested several of their more popular games and a few that are less known with varying results. The main issue that we came across was the disparity between the number of features and bonus rounds per games. Some games could easily match the likes of Microgaming and NetEnt in terms of quality, but there were others that we found severely lacking. They do include a good deal branded titles in their armoury such as Worms, Viz, and Bejeweled, which are probably the best three slots on offer. There are throwbacks too like The Goonies, Spinal Tap, and Thundercats. Other standout titles include Plants v Zombies and Harry Trotter Pig Wizard, which is particularly amusing if you are a fan of the Harry Potter series as there are lots of references to spot. 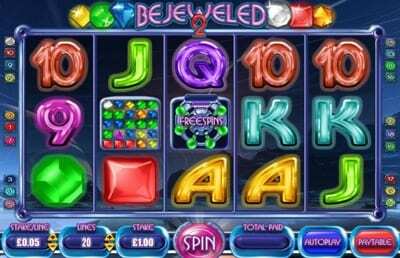 Another added bonus for Blueprint is that they offer a steady range of jackpot games which are network linked. There are a good handful of titles including Plants v Zombies, Cop the Lot, The Pig Wizard, Viz, and Winstar. 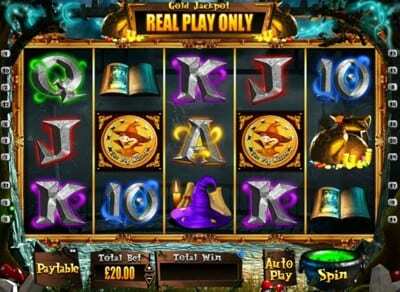 Historically these aren’t the most mouthwatering jackpots out there, but as the software company increases the range of casinos they are operating on, you will see that the jackpots for these games will steadily start to rise, and indeed this has already been the case over the last couple of years. Blueprint was founded in the UK in 2001 and spent the vast majority of their time initially working on land-based casino games. They developed quite a reputation in the early days and were widely considered to be one of the leading games providers in the world shortly after they were founded. It’s probably fair to say that the takeover from the Gauselmann Group in 2008 really put Blueprint on the map, allowing them to enter the online industry with a much larger budget for markets, research, and development for their games. The Gauselmann Group has been prominent since 1957 and started life as a bit of a one-man-band via their founder, Paul Gauselmann. He, like most, worked as an independent machine operator and developed some of the best game machines of his era. The company naturally grew over the years, with more casinos, pubs, and betting establishments working alongside Gauselmann. As they expanded they acquired several smaller businesses to help them progress further, and Blueprint was one of them. Blueprint still operate as their own entity from inside the Gauselmann Group, and their UK office in Newark is still a hive of activity. They also have offices in Gibraltar and their games are regularly played in the UK, Germany and Italy.